Soccer is widely known as the global game, a sport that spans nearly every country on Earth and is, by and large, the most popular. But few other sports match the international flavor and global reach like tennis does. It features players, coaches and fans from all walks of life, and great things can happen when those backgrounds are combined. The CourtSense Tennis Training Center is an example of this. With an assortment of coaches and trainers from a number of different countries and playing backgrounds, the melting pot that is CourtSense has worked to create a successful program. Despite a lack of formative training in tennis, Uehling would go on to play collegiate tennis and eventually join the ATP Tour. Through his time on the ATP Tour, he learned from some of the legendary instructors of the sport, including Sports Psychologist Dr. Jim Loehr and coach Jose Higueras, who has worked with some of the world’s top players, including Pete Sampras and Roger Federer. With his dream of creating the type of program he longed for as a young tennis player growing up, coupled with the knowledge and experience he gained as a player and coach, Uehling was ready to launch CourtSense. In order to do so, Uehling knew he needed to bring in the types of coaches and managers that shared his vision, making sure his staff was diverse enough in their backgrounds to create the type of well-rounded program he desired. Integral in implanting that methodology was Carlos Cano, who is CourtSense’s Head of Player and Coaching Development, and Ray Josephs, the Director of Coaches at Tenafly Racquet Club, a CourtSense location. 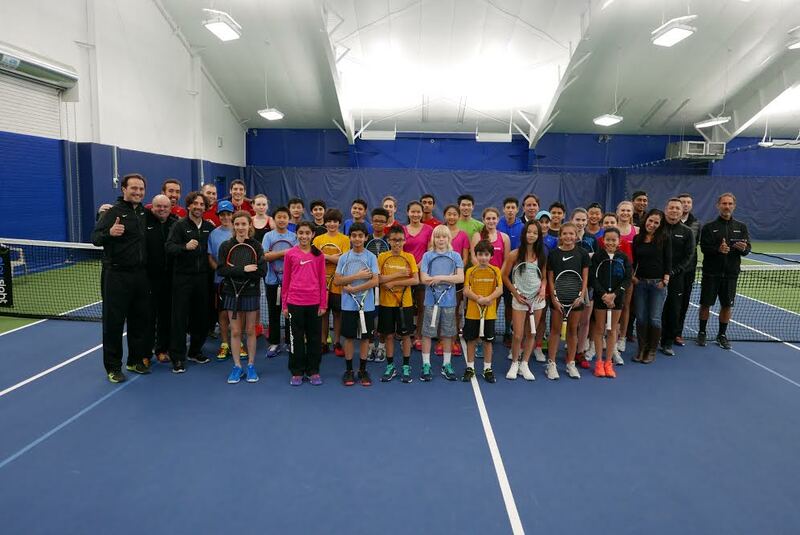 The ability to adapt and blend your own tennis philosophies with the ones of those you work with is one of the most important qualities of the CourtSense program, and something that has established it as a staple of tennis development here in the northeast. 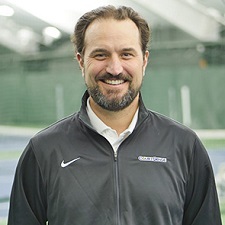 One of the program’s top coaches is Geoff Grant, who competed on the ATP Tour and spent time training with Pete Sampras, Andre Agassi and Jim Courier. 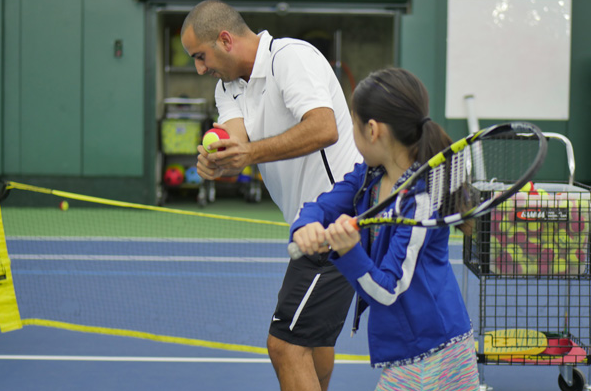 Grant is the Director of Tennis and General Manager at Tenafly Racquet Club, and primarily works with players during the early part of the development process. That willingness to do the gritty work it takes to be a great player is at the heart of the CourtSense teaching model. It’s a universal trait that exists in people from all types of backgrounds and life experiences, and is a necessity in being successful as a teacher of the sport. The pillars of the CourtSense program are the coaches and the directors who have all contributed their experiences and differences to create the collaboration that Uehling had envisioned. It has grown from two courts in the beginning to 37 courts currently, and they work with more than 500 kids on a weekly basis. They will continue to grow and are taking that collaboration one step further, producing an online e-manual which will help guide the staff with its methodology and philosophy going forward.